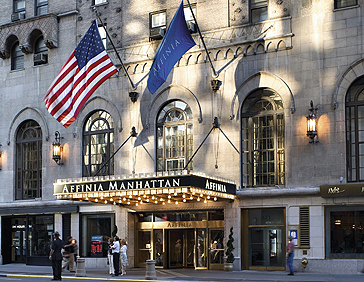 If you’re looking for a hotel with a great location and wonderful staff to make your New York holiday everything you’ve dreamed of, the Manhattan NYC Affinia hotel is a great choice. 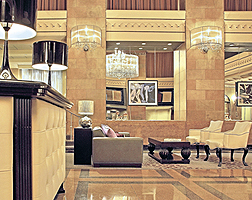 Located in the energetic and exciting centre of the tourist action, this is a great base to explore Madison Square Gardens, the theatres of Broadway or the big department stores. 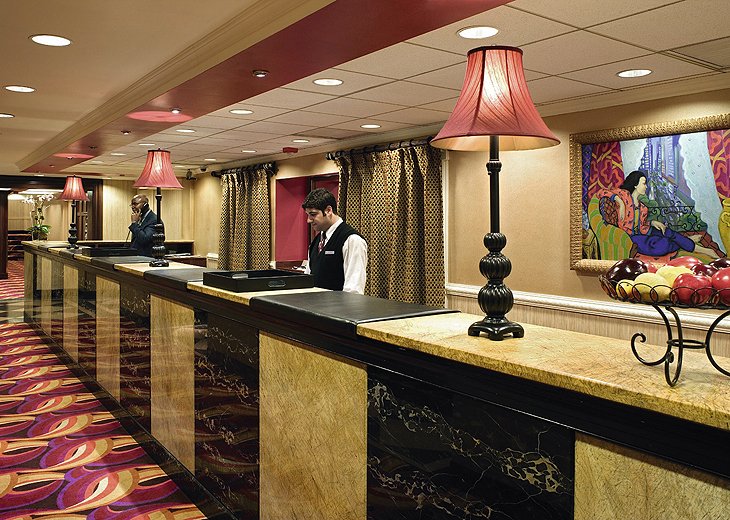 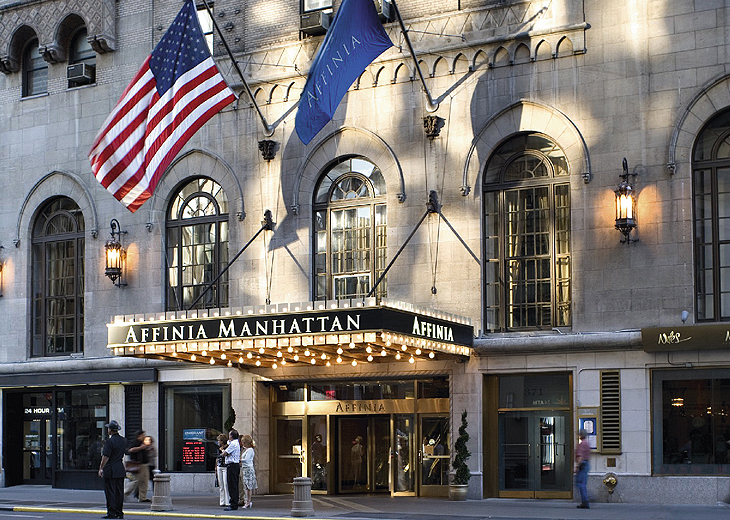 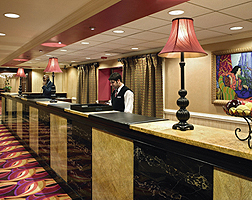 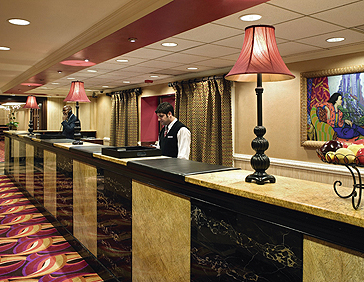 Friendly members of staff and a knowledgeable concierge ensure that you’ll never be short of insider knowledge if you stay at the Manhattan NYC Affinia hotel! 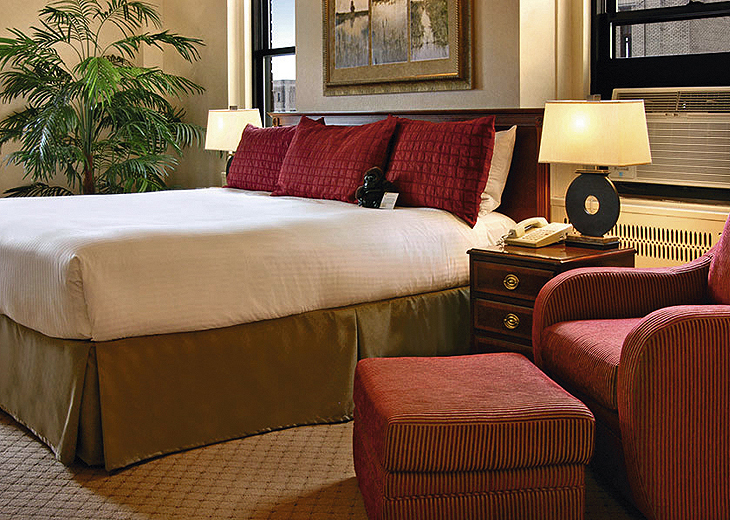 Book your stay with netflights.com today. 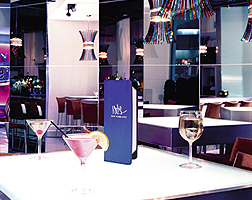 The hotel's main eating option is Niles restaurant where contemporary continental cuisine is served by Chef Dale Spinks in modern, quintessentially Manhattan surroundings. 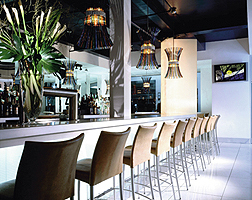 But being in New York means you're never far away from great dining options. 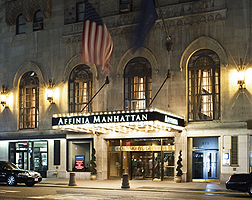 The Affinia Manhattan Metro Concierge has details of the best restaurants in New York. 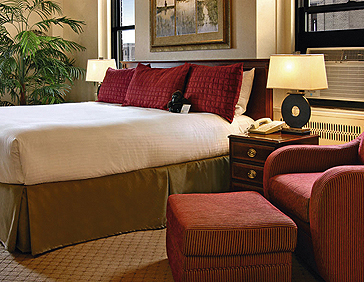 Manhattan NYC an Affinia hotel has a number of extra services and facilities, only available to in-the-know travellers! 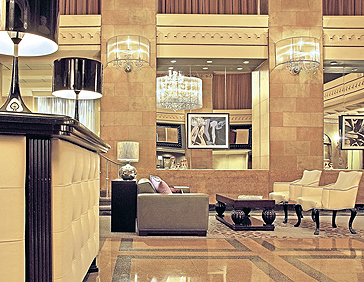 When other cities grow up, they want to be New York – and it’s easy to understand why! 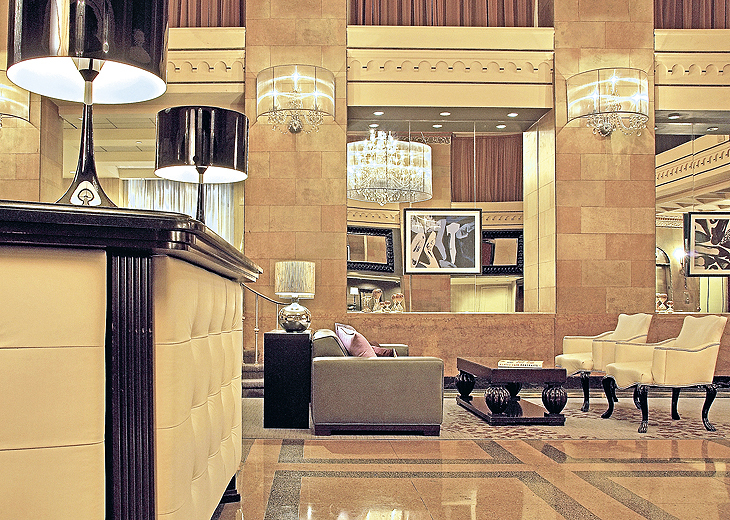 An iconic city-break destination, NYC is full of cultural sites, great food, amazing shopping and wonderful buildings – who wouldn’t want to visit?